In a joint statement, Amnesty International, Human Rights Watch, Alternative Turkmenistan News, Turkmen Initiative for Human Rights, International Partnership for Human Rights (IPHR), Norwegian Helsinki Committee and Crude Accountability call on Turkmenistan’s authorities to immediately release and quash the convictions of 18 men in whose cases there are credible allegations of torture, detention in inhumane conditions and unfair trials. These men were among over 100 people detained in September-October 2016 over alleged links to the Hizmet global movement and its leader Fethullah Gülen, who has been accused of orchestrating the failed July 2016 coup in Turkey. Sixteen of the 18 convicted men either went to universities in Turkey or had been teachers, alumni, or staff at schools that are believed to have been affiliated with Gülen and Hizmet. Of the remaining two, one was a supporter of the schools and another taught at a school run by alleged Hizmet sympathizers. While in pre-trial detention, the 18 men were reportedly held naked in darkened rooms for long periods, repeatedly beaten and denied contacts with their families. Their prison sentences, ranging from 12 to 25 years, were handed down in a closed, two-hour trial in February 2017, which consisted of reading out the verdict. A summary of the verdict provided to the defendants lacks any information about the specific acts the men are accused of committing or the evidence against them. The Supreme Court upheld their convictions and sentences on appeal. 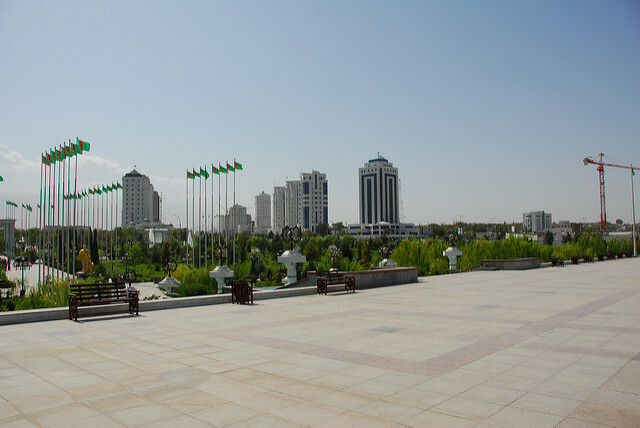 The signatories to the statement call on Turkmenistan’s international partners, including the European Union, its member states, the US government, UN human rights agencies, and the Organization for Security and Cooperation in Europe to intervene with Turkmenistan’s authorities to urge them to release the 18 men and ensure their safety.